We are a small community school providing a warm “home from home” environment in which students can flourish and be themselves and we are proud of the results that we can achieve whilst recognising the diversity of all of our students. We are extremely privileged at Phoenix International School to have a fully qualified and dedicated staff team working with the children to support them every step of the way. The school has a warm, family feel thanks largely to the positive and caring attitude of the entire staff team. Teaching staff are strongly encouraged to keep abreast of developments within their field and to follow their own programme of personal development to ensure they are fully equipped to teach the latest tools and techniques in their specialist subjects. Pupils are welcome to join our school throughout the year. We do not require students to sit an entrance exam because we believe that we can support and stimulate children to reach individual goals regardless of their background or ability. However we would ask that all parents supply relevant up to date school reports so that we can best meet the needs of the child. If your child has a special educational need please be open and honest about this. It will not stop them attending the school; it just means we can give them the help they need more quickly. Good working relationships between students, teachers and parents are essential to ensure all pupils reach their full potential. We believe that parents must be kept informed of their child’s progress. As well as operating the normal reporting system through parent’s evenings and written reports, we have an open door policy and any parent who wishes to discuss the progress or welfare of their child at any time is welcome to call in, telephone or write to the class teacher or form tutor. In the Primary department, a Home School diary is used as a vital means of communication between the parent and the school. Secondary students are also required to purchase an agenda to make a note of homework and as a means of communication. Parents are welcome to make an appointment to see the class teacher at any time should they have any concerns or questions. Throughout the year you will be invited to attend parents’ meetings and you will receive termly reports which are a vital time of sharing for parents, teachers and students. Good attendance at school is essential if students are to reach their full potential. We expect parents to work with the school to ensure full attendance. We also request that parents telephone to tell us if their child is ill on the first day of absence. We recommend that parents arrange holidays in school holiday times, to have the smallest possible impact on students’ education. We take a consistent approach to punctuality. We believe that punctuality is important and we want to stress this to all children. It is essential that children are in school at the stated time for the beginning of the school day. In the Primary department, pupils will receive a homework timetable at the beginning of the academic year. Our homework is based on the guidelines issued by the British government in relation to Key Stage 1 and 2 pupils. Homework will be recorded in the Home School diary. Pupils are also required to read on a daily basis and parents are asked to record this in the home school reading record. In Secondary, we believe homework is an important extension to the students’ learning day and also an opportunity for students to develop their ability to work on their own, to carry out research or to extend themselves. Our student planner helps to develop the important skill of planning and organising work. Parents are expected to check the student planner weekly and sign that they are satisfied that the work has been done. Parents who have concerns about homework, whether on an isolated occasion or a problem of a more general nature, should contact their child’s class teacher or Tutor to discuss their concerns. Students can choose from a range of hot and cold meals which can be ordered from the school restaurant. These should be paid for on the day of purchase or may be ordered in advance. Parents will appreciate that we cannot control the selection of food purchased by the students but a range of healthy menu options are always made available and is supported by an educational programme in school advising students on the need for a balanced diet. Students may bring their own packed lunches. Bearing in mind that the climate can be hot and children participate in some energetic activities during the school day, please provide sufficient drinks to ensure they are well hydrated particularly on PE days. We attach great importance to the moral, spiritual, cultural and social development of our students. We believe that students’ development in these areas will be enhanced by their involvement in our school. We set out to help students develop a sense of their personal responsibility and the need for a commitment to the school and wider community. We encourage this, for example, through involving students in the forums and community service and activities. We take time and care to ensure that all incidents of bullying are dealt with promptly and effectively including incidents on social media. We make it clear to all students that they are expected to talk to an adult, preferably a teacher, if anyone is bullying them. We also encourage our students to tell us if they see anyone else being bullied. We believe that students respond best to praise and reward. We have a clear system of rewards ranging from regular praise through to letters to parents and special awards. Sometimes students let themselves down. We use a range of strategies to help them to change their behaviour and, where necessary, use carefully measured sanctions to reinforce our expectations. We work closely with parents to ensure each student develops and maintains high personal standards of behaviour. All members of staff take responsibility for behaviour. There is a strong support framework in the school providing strategies and processes to create a close relationship between students, parents and staff and ensure high standards in behaviour are encouraged and maintained. Every area of our school life reflects this attention to individual needs and rights, as all our school policies are founded on these basic principles. Each member of staff shares responsibilities for supporting students. The school is committed to safeguarding and promoting the welfare of its students. The class teacher or form tutor has the responsibility to be aware of the needs of the students in the group and to share the information with colleagues. They play a central role in enhancing access and learning for the students in their care. The form tutor also works with parents to set individual targets for monitoring and supporting students. The subject teacher has the responsibility to be aware of the learning needs of students, to differentiate materials appropriately, to assess students, set individual targets and to seek additional information and advice as appropriate from the class teacher or form tutor. Parents’ wishes, feelings and knowledge influence all decisions made in respect of the education of their children. They are given the opportunity to share their unique knowledge of their children in regular meetings throughout the school year. They are encouraged to participate in the collaborative effort of education of their children directly by involvement in school events, attendance at the meetings with tutors, subject teachers or review staff and, more particularly, by supporting and encouraging the children and monitoring their progress. Students are encouraged to play a full and active role in decision-making. They have a right to be heard and are consulted about what provision may be made to meet their individual needs. We welcome parents into our school at all times to work voluntarily with the pupils, subject to compliance with our child protection procedures. We try to make our school as diverse and exciting as possible for the pupils by celebrating as many English and Spanish events and occasions as possible throughout the academic year. We hold two annual sports day for all the children: a traditional sports day in the winter and a water sports day in the summer. Children of all abilities take part in a range of activities. The children love to show the parents and visitors the skills and talents they have learned in their PE lessons. 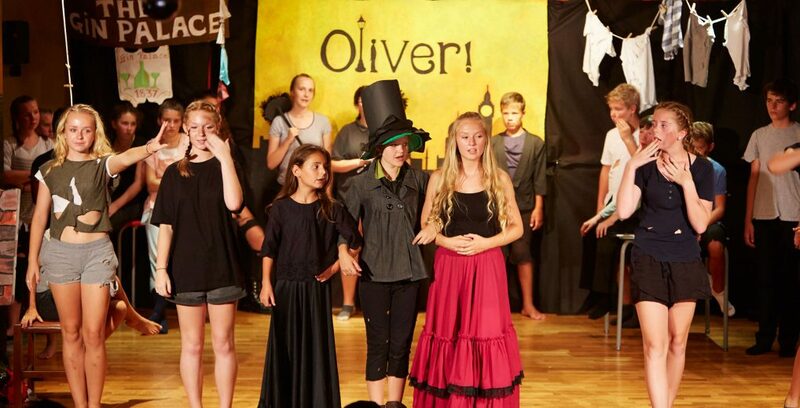 At Christmas and the end of the academic year the children take part in a whole school production. At Christmas the show has a fun festive flavour with the End of Year Production being a celebration of the children’s achievements. At Phoenix International School we celebrate Spanish Fiestas both locally and nationally. We also celebrate the main holidays in England with the children taking part in activities such as making Easter bonnets and Christmas decorations. We support a number of fund raising activities aimed at children such as Children in Need and often organise our own sponsored activities to raise money for specialist equipment for the children.